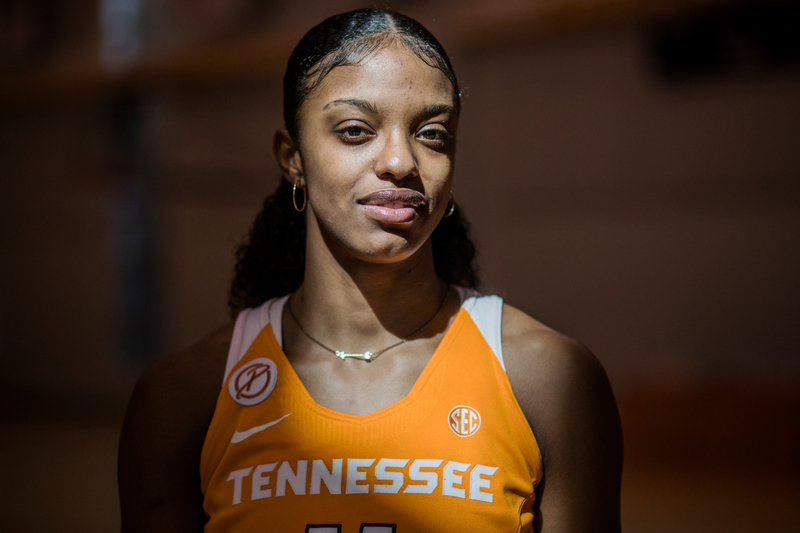 Tennessee guard Diamond DeShields, 21, is the daughter of a former Major League Baseball player, Delino DeShields, and the sister of a current one, Texas Rangers outfielder Delino DeShields Jr. But she’s also got an impressive athletic resume of her own. The national freshman of the year at North Carolina in 2014, DeShields transferred to Tennessee after just one season. DeShields, a 6-foot-1 junior, was named to every preseason national player of the year watch list this year. 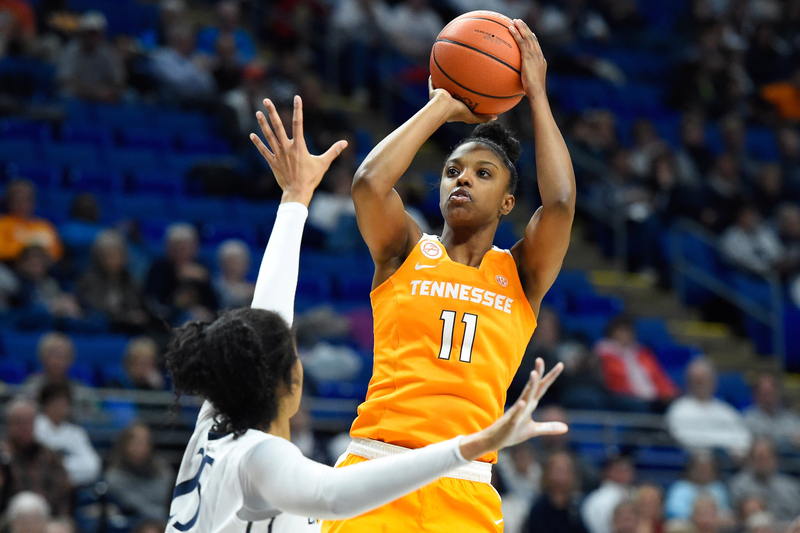 The team’s 19-10 regular-season record was disappointing by Tennessee standards — the school won eight national titles under former coach Pat Summitt. But the Lady Vols, now led by coach Holly Warlick, ended conference play with a convincing 82-64 win at then-No. 3-ranked Mississippi State. DeShields is among the SEC leaders in scoring (17.3 points per game), assists (3.8 assists per game), and blocked shots (1.0 block a game). With the conference tournament beginning Wednesday in Greenville, South Carolina, DeShields shared her thoughts on the national pastime, her affinity for unicorns, a teamwide Twitter ban and Donald Trump’s presidency. At this time of year, some fans’ attention turns to March Madness, others to spring training. Growing up, what did this time of year mean to you? Spring training. I was a spring training kid, born on March 5 down in Florida where my dad was playing at the time. Baseball has always been the focal point of my world. Here recently, it’s been more about March Madness, but it was spring training first. 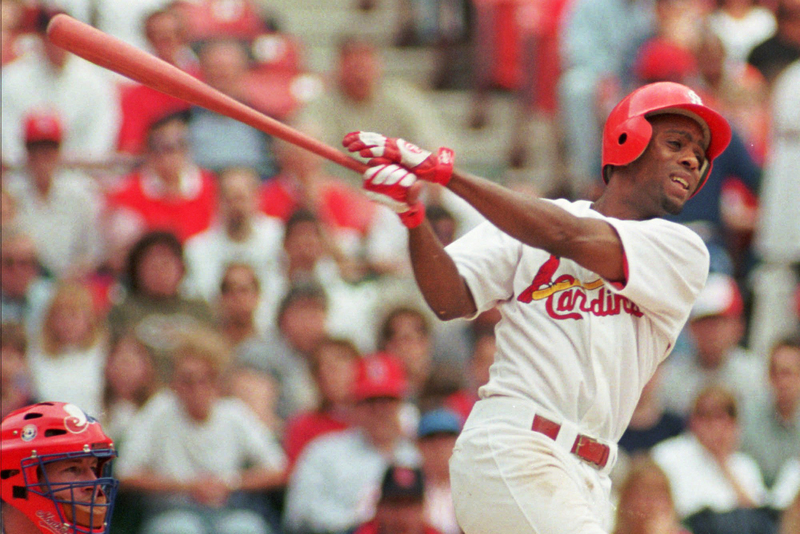 St. Louis Cardinals Delino DeShields swings during the first inning against the Montreal Expos Wednesday, April 29, 1998, at Busch Stadium in St. Louis. DeShields was among league-leaders in batting average and triples during the 1998 season. What do you remember about hanging out in Major League clubhouses? Sammy Sosa’s son always got in trouble in the clubhouse. He was funny to me and my brother, but he was always that kid into something bad. Cal Ripken’s kids were nice and well-mannered. I remember the unlimited amount of Bazooka bubble gum and Big League Chew. [My brother] made sure to bring out a boatload of bubble gum for us, and sunflower seeds. Your Twitter bio says you’re “really a unicorn, but it’s a long story.” What’s the story? I just like to think of myself as an extremely unique individual, someone who does things how they want to do it. Not in a bad, disrespectful, disobedient way. My dad always raised me, ‘don’t let anyone back you in a corner,’ and ‘do what you want to do.’ That’s how I think about life. I feel like I am truly one of a kind in all aspects, on and off the floor. The level of intellect I have is beyond what most people would assume about me. There’s only one creature that is synonymous, and that is the unicorn. What have you done that’s different from what people expected? For one, transferring. Life was good for me, I was playing well, but [North Carolina] just wasn’t for me. I wasn’t about to settle for a situation that looked good from the outside but wasn’t good for me. Also, a lot of times reporters and people talk about how well-spoken I am and it is almost as if they didn’t think I would be. I don’t know if that’s the case or not, but I really do pride myself on my speaking ability and the way I come off to others. I always try to make a good impression. Do you feel like that response has a racial undertone? Possibly. Especially being that I come from a family of athletes … We’re all working to break those racial stereotypes. What do you want out of your college career? I want to be remembered as a great teammate. And I want to be part of bringing Tennessee back to prominence. I want my name to be behind it when people talk about the Warlick era. What player, what team was the catalyst to that era’s success? I want it to be me and my team. What is it like playing at Tennessee without Pat Summitt, who died last year? You miss her, you wish she was here, those things are all true. Holly took a job that no one else wanted. Following a legend is hard. Holly has a lot of guts stepping into the head coaching position here. I’m just trying to fight through the transition with Holly and not make her feel like it’s all on her. We’re all in this together to try to make the best out of it. It has been an up-and-down process the last two years. Tennessee Lady Volunteers guard Diamond DeShields (11) shoots the ball against the defense of Penn State Lady Lions forward Peyton Whitted (25) during the second half at the Bryce Jordan Center. Your dad was the 12th overall pick in the Major League Baseball draft in 1987 and your brother was the eighth pick in 2010. Do you have a goal of being picked higher in the WNBA draft? Of course. I want to go No. 1. That’s very possible for me. That’s always been my goal, to go No. 1 in the draft, not just get drafted. You were the national freshman of the year. Any men’s player in that situation would have immediately turned pro. Do you think women should have the opportunity to leave college early like men? One and done? It’s just not smart [for women] right now. … For now, college basketball is the biggest platform, not professional. From what people have told me, it’s a culture shock when you get there. [Women] are not going into a situation where we can make millions of dollars like the guys. We have to fight every day for every dollar we earn. Some of my friends in the league have talked to me about places that haven’t given them all their money overseas, spending eight months away from home in another country where you don’t know anybody except the one American teammate that’s there with you. So you anticipate playing overseas during the WNBA offseason? I want to make a living, and I can’t do it based off a WNBA salary. It’s sad and unfortunate, but that’s the reality. I hope to be a part of that change, and bring more respect and awareness to the women’s game. But, as of now, you’ll either have to use your education and get a good job, or play overseas and sacrifice time with your family to make a good living. I’m not necessarily opposed to that, so I’ll say yes. I have been a part of NCAA legislative meetings [as a student-athlete representative], so I understand the thinking behind us not being paid, which is what some student-athletes don’t understand. I think we should be paid. Especially based on your sport and what you bring to your university. Why should our quarterback get the same … as anyone else? No disrespect to other sports, but his jersey is the one being sold in stores. A lot of people are using UConn’s long winning streak to take a shot at women’s basketball. If a men’s team had this winning streak, would we see the same criticism? No. I love Geno [Auriemma]. He’s a great coach, he’s a great leader, a great example for his players and he has instilled a competitiveness in them they probably wouldn’t have had they gone somewhere else. Kansas has won 13 consecutive regular-season championships, and nobody is saying it’s bad for the game. … They work hard. You’re a hater if you think that that’s bad for the game. Everybody else needs to elevate themselves. Auriemma recruited you. Why did you decide not to go there? It was too far [from home in Georgia]. A lot of my friends were there at the time, and I know how hard of a coach he is. I knew if I couldn’t have that phone call, ‘Mom, can you come up?’ I would have probably lost my mind. I loved him. I really did. If [UConn] were a bit closer, I probably would have been there, honestly. We still have a good relationship. We see each other, we speak, we smile, we laugh. Your mom, who was a track star at the University of Tennessee, has been a great source of support. How would you describe her influence? She’s always been that calming aspect of my life and she supports me no matter what. She’s the reason why I feel like I am a peaceful spirit and a peaceful person. She’s the strongest person I know, and seeing everything she’s gone through in her life has made me appreciate my own. She teaches us, don’t be like her, be better than her. Your parents are divorced. Do you feel like baseball contributed to that? Absolutely. He wasn’t around. It’s easy to lose focus [during] those long baseball seasons. Playing baseball every day, your mind can’t necessarily be on your wife and kids at home. I understand that now as an athlete trying to compete at a high level. I’m thinking about the game. I go to Dallas sometimes to visit my brother. I see how early he gets up to go to the field and how long he’s there. I can see how it’s difficult to have a family. 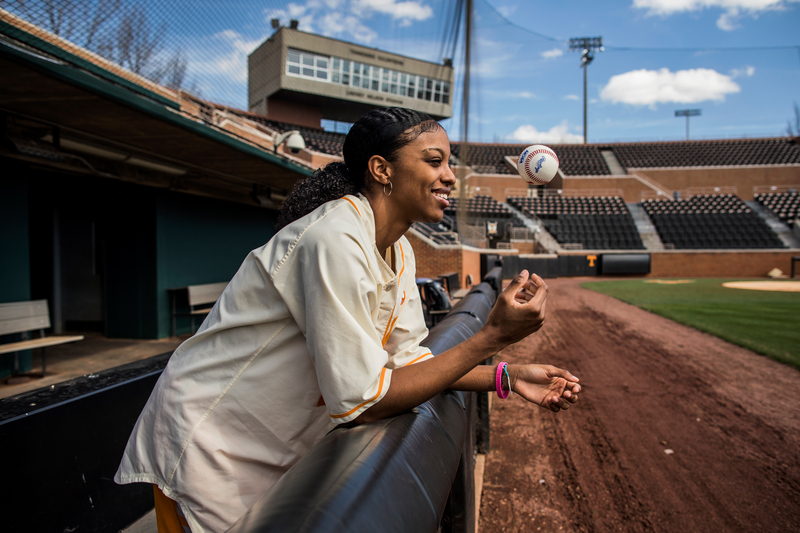 Diamond DeShields is one of the best women’s college basketball players in the country, but she comes from a lineage of baseball players. Her father and now brother both played in the MLB. You played tennis a lot as a kid. Was that your favorite sport? It became my favorite quickly, until I lost a few matches. I put a lot of pressure on myself. Losing on my own, I know it’s my fault, as opposed to a team environment, you can share the loss and not take all the blame for it. Did you have sports role models as a kid? Candace [Parker] was probably the biggest one for me. When she was here, I loved everything Tennessee. I wanted to come here forever. The Williams sisters were always great, too. I met their dad. I worked with Richard down in Florida. What was Richard Williams like? He made me cry. His training techniques and methods were very different. It wasn’t just hitting the ball and getting serves up. We were using baseballs and doing all kinds of different things that required strength. I was pretty young, probably 11. I had never trained with someone that intense. But he was a sweet man outside of training. After a period of activism in the 1960s, black athletes weren’t saying much in the 1980s, ’90s and early 2000s. Now, we’re seeing a new generation of activism. I try to educate myself on politics, what’s going on with the Muslim ban and the wall that’s about to be built. Most of what I would like to discuss involves sports. That scope may widen, but that’s what I know best right now. Your team has a rule that you can’t tweet during the season. I don’t like it, but I’ve gotten used to it. For a multitude of reasons, coach felt it was necessary for us to be put off social media. Our fan base is very influential. So when there is something they don’t like, it gets brought to coach Warlick’s attention. They don’t like the clothes we wear, the music we listen to, the tweets we tweet, and their opinion is valued here. And maybe coach Warlick has seen some things she doesn’t like, as well. But I know a lot of it has to do with our fan base and the way they feel about certain topics. They’re old school. Is it because many of the fans are older white people watching primarily African-American women play basketball? It’s just the culture here. Any type of change is kind of unwanted, almost. Even when we wore our “Smokey Grey” uniforms [a change from the traditional orange], they didn’t like that. Our warm-up music. We listen to rap, and once the doors open, it changes. Why does it have to be that way? It’s just music. … I love our fans. They are die-hard for us. They support us through all these ups and downs. But there are aspects of being a player here, it can be hard, based on the racial undertones that we have here. What was the environment on campus like after the election? You see your friends, white friends predominantly, how they were behaving, and it wasn’t just a happy-he-won type of behavior, which is fine, but there was hatred coming out of their hearts, and it was scary. You hear about things happening on campus, people’s cars getting painted on, black kids’ cars. … It’s simmered down since then, but a lot of people’s true colors came out, and you don’t forget that, especially as a black person. What does your brother tell you about the culture of Major League Baseball? 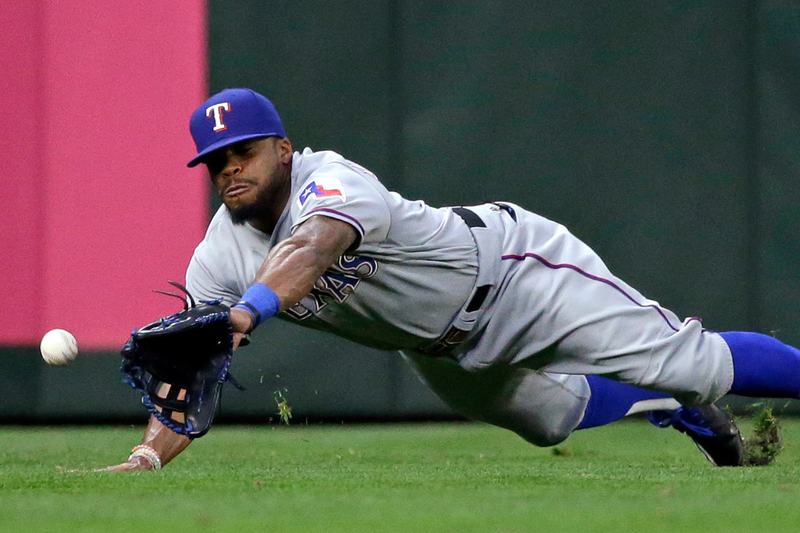 Texas Rangers center fielder Delino DeShields dives for, but misses, a double by Seattle Mariners’ Seth Smith in the first inning of a baseball game Wednesday, Sept. 7, 2016, in Seattle. It’s the same as being here. He always asks me what should his walk-up song be, and I give him Future or some rap artist and he’s like, ‘I can’t pick that song, I can’t act that way on the field, baseball players don’t do that.’ That’s why I love Bryce Harper, he’s like family. He and my brother are superclose — they’ve known each other forever. I love what Bryce is doing with his hair and his walk-up songs, Lil Wayne. He does things his way. But Bryce is also a white guy. Yet there are [black] players pushing the envelope and changing baseball’s culture. [My brother] is still trying to establish himself as a player, so he can’t really be outspoken. If Tennessee won the national championship, would you go to the White House? No. And I said that before the election: If [Trump] wins, I’m not going. I understand, I’m at Tennessee, and they talked about the kneeling before the national anthem. They were like, ‘Are any of you guys planning on doing that?’ And I was like, ‘No, I respect the anthem.’ But going to the White House? It would be very, very uncomfortable for me. How do you see this administration affecting minorities? You see the unification of a lot of different kinds of people, and I think that’s important, too. Seeing the love people have for each other, the humanity within individuals. Like the whole Muslim situation. They probably never experienced that much love from Americans until they got banned. They were probably looking over shoulders, feeling outcast, and then they look around and see all these white, black, Asian people, supporting them and saying, ‘Let them in.’ In this fragile, fragile time, where every decision being made has the [potential] to affect millions of people, it’s unifying us underneath all of that. What do you look forward to doing after your playing days? I would like to be like the female Magic Johnson. I love him. He’s smart, he’s charismatic, he’s good-looking, a great career. It’s very admirable, where he came from to where he is now. Being one of those influential people of the world is my dream. I hope to inspire and influence a bunch of people, especially young black girls.